Russia have grabbed second place in the unofficial medals count at the World Athletics Championships in Deagu, equalling the Soviet Union’s 1991 record. 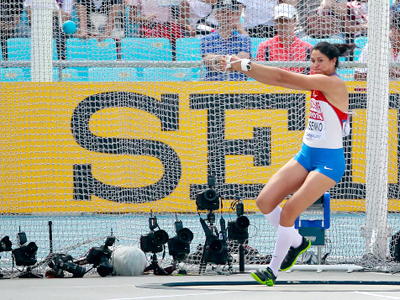 ­The Russian athletes have won nine gold, four silver and six bronze medals at the event, which ended in South Korea on Sunday. The first place went to Team USA, who once again proved to be an athletics powerhouse, with 12 golds, eight bronze and five silver medals. Third position was occupied by Kenya, who have seven golds, six bronze and four silver medals in the bag. The current World Championships have been the most successful in the Russia’s modern history, with the previous best in Paris 2003 and Helsinki 2007 when the country brought home seven gold medals. The national team of the USSR grabbed nine golds just once, at the Tokyo Worlds of 1991. 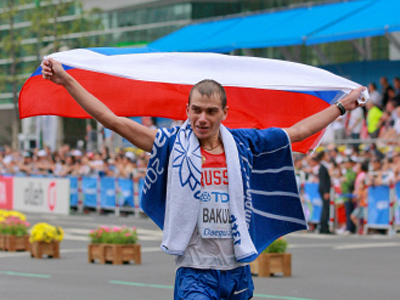 The athletes who topped the podium for their country are Valery Borchin (men’s 20km walking), Olga Kaniskina (women’s 20km walking), Tatyana Chernova (women’s heptathlon), Julia Zaripova (women’s 3000m steeplechase), Maria Abakumova (women’s javelin throw), Anna Chicherova (women’s high jump), Sergey Bakulin (men’s 50 km walking), Tatiana Lysenko (women’s hammer throw) and Maria Savinova (women’s 800 m).